We are committed to the needs and interests that elevate and promote the health status and social conditions of the Indian people of California. CRIHB does this by providing advocacy, shared resources, training, and technical assistance that enhances the delivery of quality comprehensive health related services. 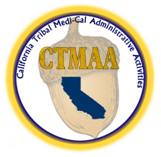 The CTMAA Program offers a way for Tribal Health Programs to obtain federal reimbursement for the cost of certain administrative activities necessary for the proper and efficient administration of the Medi-Cal program. California Dental Support Center provides technical assistance and resources to 36 Tribal and urban health programs (107 Tribes), which operate 58 dental clinics, in the state of California. The CRIHB Advancing California Opportunities to Renew Native health Systems (ACORNS) is a CDC Good Health and Wellness in Indian Country funded project. CRIHB Options is a demonstration program, operating under California’s section 1115 Waiver amendment, entitled “California Medi-Cal 2020 Demonstration”, designed to reimburse participating Tribal Health Programs for certain Medi-Cal Optional Benefit services provided to IHS eligible Medi-Cal beneficiaries. The California Rural Indian Health Board (CRIHB) and the Healing Our Own People Program believe that suicide and suicidal behavior are preventable. Many California Tribes and tribal communities, are already implementing programs that successfully reduce factors known to contribute to suicide and strengthen factors known to help protect them against suicide. The approaches taken by many communities are based on the public health model, which means that they are proactive and holistic. Cleo Faye Reece, a member of the Berry Creek Rancheria of Kankow Maidu, was born on January 9, 1955, at a time where there were no Indian Health Service (IHS) services in all of California. Her family lived in the small town of Oroville, California near the sixty-five acre Berry Creek Reservation. A town made famous by the startling appearance of Ishi, the so called “Last California Indian” some forty-four years before. Cleo’s father was an auto mechanic and her mother; mostly a housewife, from time to time did office work adding to the family income. 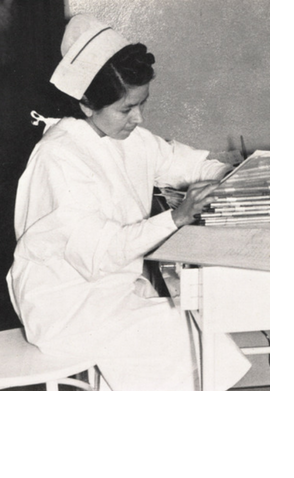 Like most California Indians of that era, her family struggled economically and faced a degree of social stigma as they tried to maintain their cultural heritage. But for Cleo, her older brother Frank and her little sister Patty growing up there were fun things too; like summer trips to participate in the annual Maidu Bear Dance on a flat near Janesville, California. Later Cleo attended Sherman Indian Institute in far away Riverside, California but left her senior year to get married and start a life of her own. A single mother of three, she was an entry level office worker who late in life found herself in poor heath, far from home working for the Indian Center in Redlands, Michigan. She relocated back to Oroville in 2001. All of her life she had suffered from Asthma, COPD and ultimately cancer. She died on January 29, 2008, surrounded by family, hounded by creditors, abused by an unresponsive health care system and worried sick about the troubles she was leaving behind for others to cope with.